F-body maybe? I've heard that a few of their suspension parts are interchangable. the heavy duty suspension package maybe ?? You say they both came off of a 3rd gen, but were they different years? If one of them is a 73 & the other is a later model, that could be your answer. 73 was an odd year for everything it seems & a lot of the parts changed over the next year or two including suspension stuff. 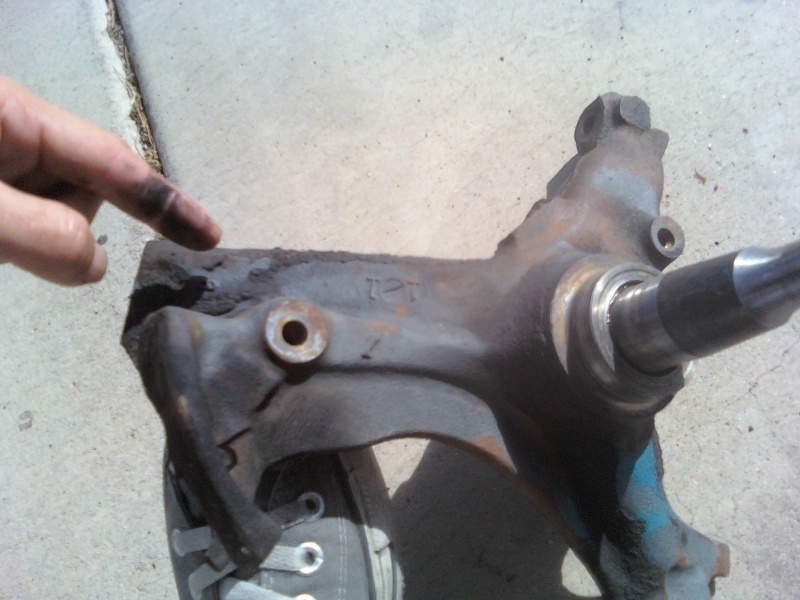 Also if that's a replacement spindle bought from a parts store, it could be the reason as well. Look in the interchangeability section. It could have been from a 70's F or X Body, a later model B Body, or even a GMC Safari/Chevy Astro van! I'm almost sure that the vans & 94-96 B Body required a different ball joint though. 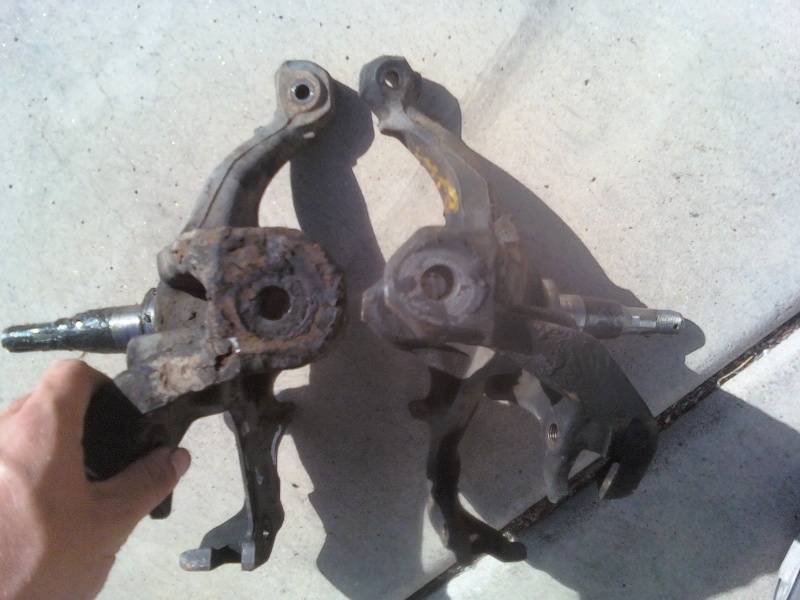 ok weighed them in today the smaller one is 3 pounds lighter also went to junkyard to see what i could find saw something similar on newer impalas a possible one on a 79 camaro but didnt have any side by side comparrisons. 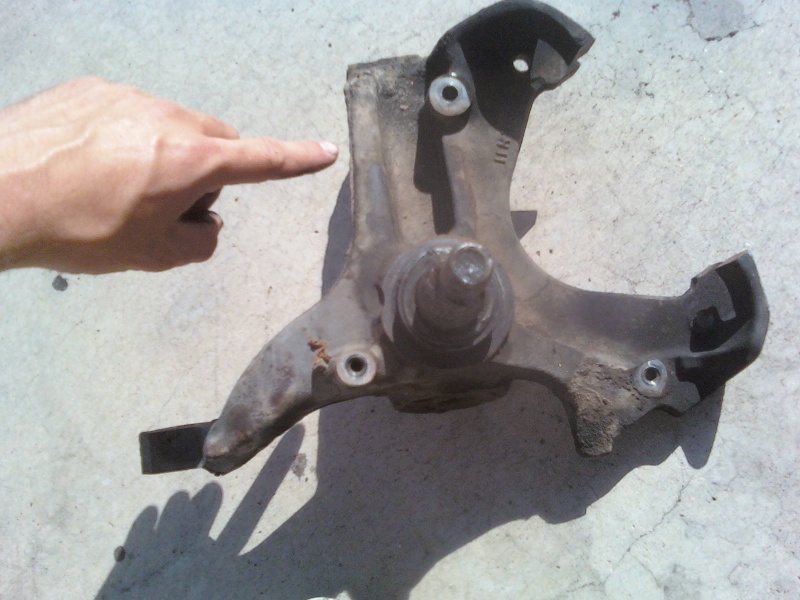 3 lbs X2 of unsprung weight is a significant difference off of the nose. Would be real nice to find out exactly what car to look out for. Any idea of what cars they came on? A list would be helpful.